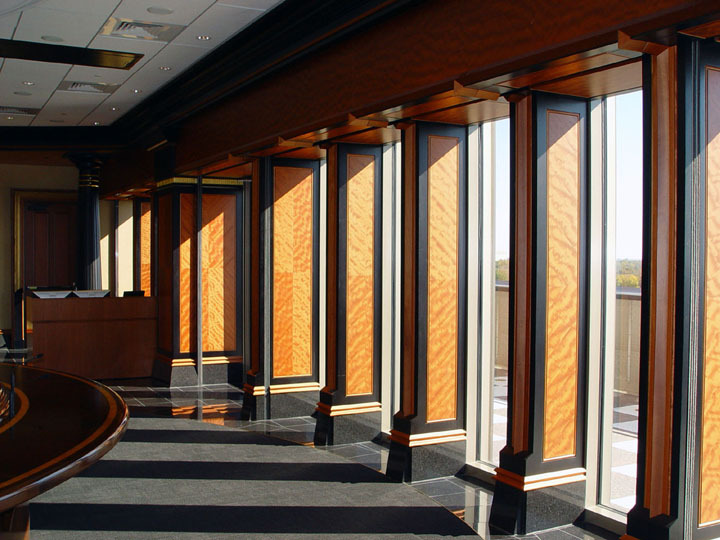 Built for the Retirement Systems of Alabama (RSA), this Boardroom on the 8th floor features sketch face patterned block mottled makore panels, ebonized African Mahogany, and gilt gold detailing. Designed by PH&J Architects. 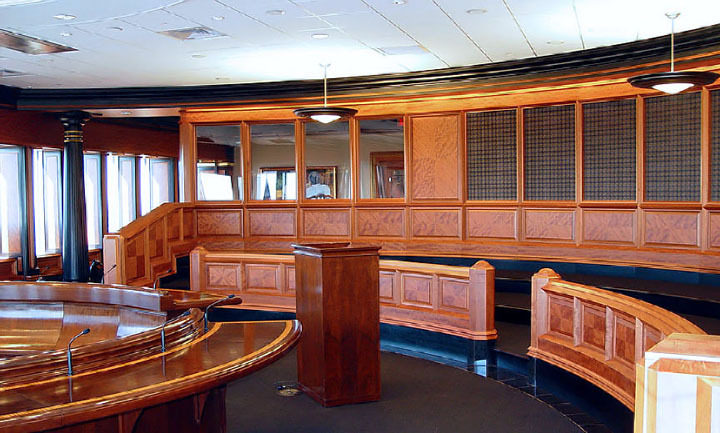 General Contractor: Hagan Construction. 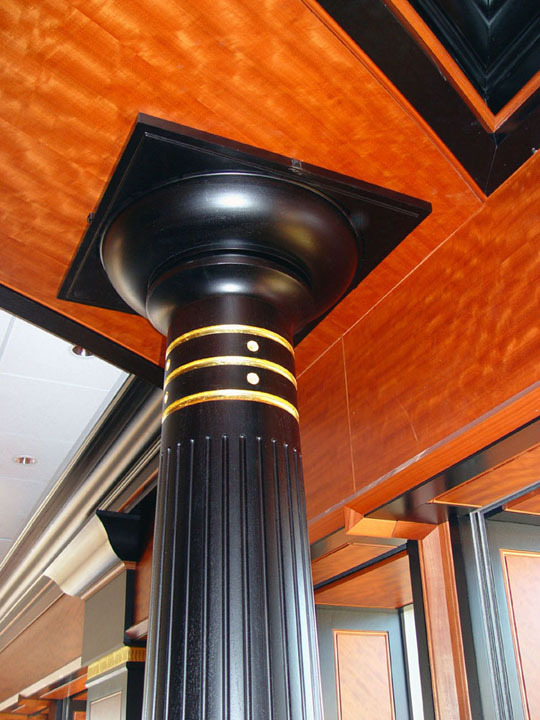 In 2009 this project was recognized as the Corporate as well as National Overall Winner of the Standard of Excellence Award by the Architectural Woodwork Institute. 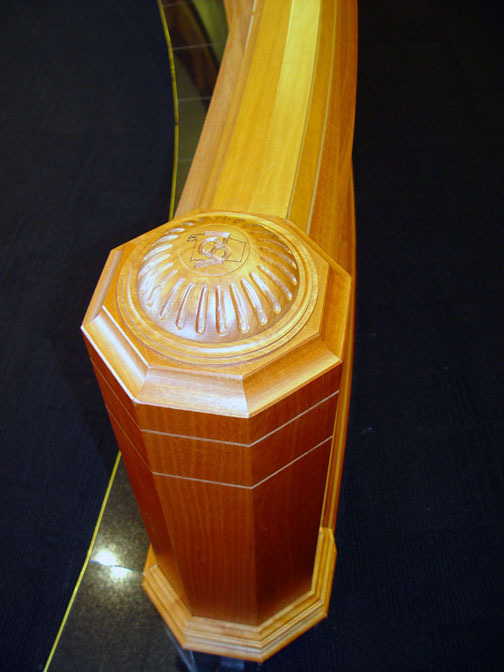 The award is given in recognition of superlative quality and exemplary execution of architectural woodwork as an element of contemporary architecture.